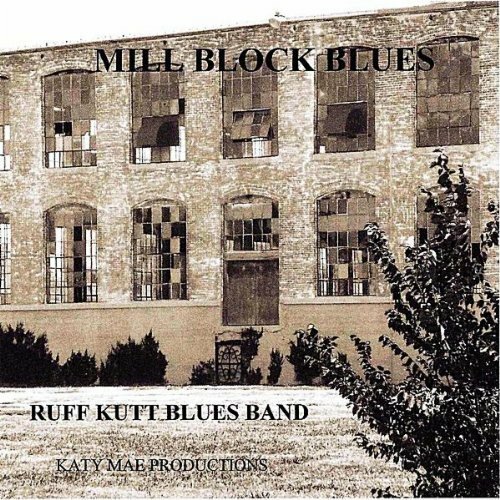 Ruff Kutt Blues is the name of the project started by James Goode, a Rockabilly Hall of Fame bass player and fan of Texas Blues. The other name you need to know on this project is the name of Texas Blues guitar legend Anson Funderburgh. James and Anson go way back. And together, they have recruited an all-star cast of musicians to work on a special CD called Mill Block Blues. I was going to include a favorite picture of mine with a few of Anson's fans (Elmo James - contributor and yours truly) but there is just way too much to cover here. This is a really strong recording that a lot of people have been waiting for some time to come out. 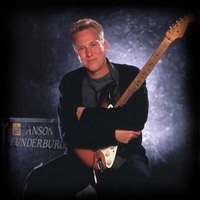 I was first introduced to Anson on a late night show with David Sanborn. He has his own guitar style with that perfect attack. This guitar playing along with the fine artistry is well showcased throughout this fine recording. My favorite takes are "Cut Like a Knife", "Now You See Me" and the title track, "Mill Rock Blues". CD's will go to charity. There will be no reprints. Anson is a local hero to blues guitar players across the state of Texas. And there's good reason. He and his bandmates have brought 9 W.C. Handy blues awards, the blues world's equivalent of a Grammy, back to the state of Texas. This is quite an accomplishment. And it's part of the reason why so many young guitar players today look up to Anson. The other reason is that his body of work on guitar is considered by both fans and critics as some of the best blues guitar ever recorded. Anson has played with some of the finest blues, R&B and country musicians in the land, including such notables as the Fabulous Thunderbirds, Snooks Eaglin, Delbert McClinton, Boz Scaggs, David Sanborn, Huey Lewis, Betty White, Earl King, Hal Ketchum, Thunderbird Davis, Grady Gaines and Clarence Hollimon & Carol Fran.Anson plays guitar on all of the tracks on the "Mill Block Blues" CD. And once again, it's tasteful stuff from the living Godfather of Texas Blues. Gentleman John Street is the musical genius behind the "Mill Block Blues" CD. Not only did he do most of the arranging of the tunes, he also did all the recording and engineering on the album. His keyboard work is stellar on the album. And the basic song ideas sprung to life when John got his hands on them. John's been involved in music in one way or another since he was 8 years old. This includes musical director for off Broadway productions, stage managing, production managing, sound engineering, guitar tech, keyboard tech, complete electronics tech, and player for national & international touring acts and recording on dozens of albums. He was Stage Manager for the '87-'89 Gregg Allman Band Tour. Many Scandinavian tours playing traditional blues with Rock Bottom (Parsifal Artist) & a stint with The Gregg Allman Band. He's also toured with Anson Funderburgh & The Rockets featuring Sam Myers. And he now tours with Andrew "Jr Boy" Jones as the dedicated keys player. James is the heart and soul of this project. It was his idea to record a CD to try and help musicians in need. And he wrote the lyrics to all the songs on the CD and helped with the arrangements as well. James is also an accomplished musician in his own right as he is now a full member of the Rockabilly Hall of Fame with his old band, The Excels. James' role cannot be undersold. He played bass on all the tunes. But he is also the guy that brought all of these fine musicians together and united us on this common goal. Without James, there would be no "Mill Block Blues" CD. The songs on that CD tell the story of James' life growing up on the Mill Block. The CD and the music are a reflection of James, the man. FORREST WESLEY STARR was born on May 22, 1955 in Rome, Georgia. At the age of nine, Wes began his formal training with private drum lessons. Wes joined his school band program in the fifth grade. In the ninth grade at Pepperell High School, Wes was made Drum Lieutenant, a position he held through graduation. 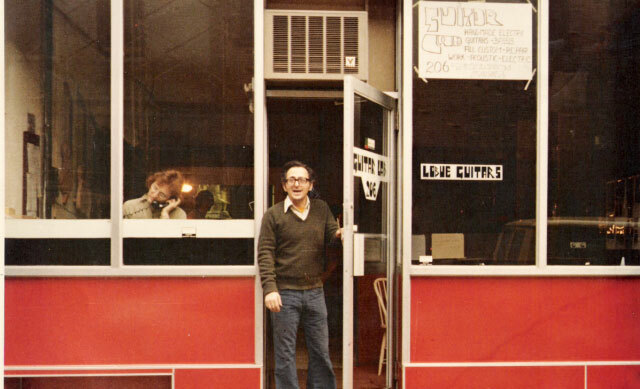 During these years, Wes played in local rock, jazz and dance bands in and around Rome and Atlanta, Georgia. Early influences include Gene Krupa, Elvin Jones, and Butch Trucks of the Allman Brothers Band. When an offer came in 1979 from his friend, Kim Wilson (The Fabulous Thunderbirds), to audition with "Omar and the Howlers", Wes moved to Austin, Texas. For the next four years, he toured around the country with "Omar and the Howlers" and recorded Omar's first LP, Big Leg Beat. This was to become for Wes, the beginning of a long music career in Texas and the developing of his own creative style of Texas drumming. After one and a half years with "Asleep at the Wheel", which included the recording of one LP and a touring schedule of more than 250 dates a year, Wes left "the Wheel" to join Louisiana's up-and-coming R&B artist Mason Ruffner. During the nine months Wes played with Mason, they toured as support act for The Firm's U.S. tour, featuring Jimmy Page and Paul Rogers. After doing a stint in Delbert McClinton's band, Wes joined long-time friends Anson Funderburgh and Sam Myers touring the U.S., Canada, Scandanavia and Europe taking May 2001 off to tour Europe with Lee McBee. Guitarist, songwriter and singer Andrew "Jr. Boy" Jones began working professionally at age 16 with Freddie King's backing band, the Thunderbirds. He got his first guitar from his uncle, jazz musician Adolphus Sneed. 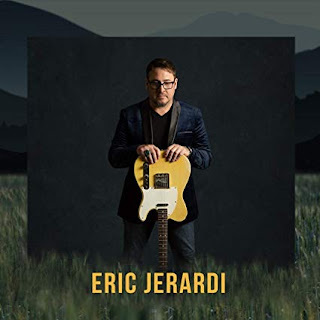 For many years, he's backed various Dallas-area vocalists on guitar, but in the mid-1990s, he came into his own as a vocalist with an album for JSP Records, I Need Time (1997), which showcases his crafty songwriting, great guitar playing, and powerful singing. In 1967, Jones joined Dallas-area vocalist Bobby Patterson's band, the Mustangs. Through most of the 1970s, Jones backed various artists, including Johnnie Taylor and Charlie Robertson. In late 1987, Jones moved to California and joined the Silent Partners with bassist Russell Jackson and drummer Tony Coleman, longtime drummer with B.B. King's band (and in recent years a part-time resident of Portland). Jones recorded with the late pianist and singer Katie Webster on her critically praised Alligator Records album, Swamp Boogie Queen. While recording with Sonny Rhodes, Jones met harmonica ace Charlie Musselwhite, who persuaded him to join his band. 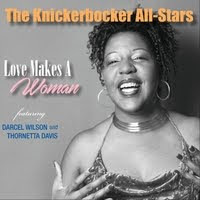 Jones played guitar on Musselwhite's three late-1980s/early-1990s albums for Alligator Records (Ace of Harps, In My Time, and Signature) and did extensive touring with the harmonica master (Jones appeared with Musselwhite at the Waterfront Blues Festival in 1995). Jones left Musselwhite's band amicably in the mid-1990s and returned to Dallas, where he accompanies Dallas-area blues singers like R.L. Griffin, Hal Harris and the Lowlifers. Born in Alabama, Dempsey came to Dallas around 1961. After learning harp very early in life, he picked up bass guitar playing with and opening for many of the Blues and R&B Greats. Around 1957 he started touring with a list of artists that reads like a WHO’S Who of Rock & Roll and R&B. They include Sam & Dave, Jimmy Reed, Freddie King, Chuck Berry, T-Bone Walker, Eddie Floyd, Rufus Thomas, Marvin Gaye, Big Joe Turner, Etta James, and Little Richard’s guitar player. He also did a 2 year stint with The Drifters from 1963 to 64. Dempsey started his own band called Shame Shame, that had success and a following in Dallas. They toured and recorded a CD, and played B.B. King’s club in Memphis. He then formed another local Dallas blues band called D.C. and the Capitals. And you can hear some of Dempsey's unmistakable vocals on several tracks on the CD. Born and raised in Plano, Texas, Michael grew up listening to a wide variety of Texas music from the earliest days he can remember. Told by his parents that he started drumming in his crib at the age of two, his earliest musical interests involved percussion. Michael was an All-Region drummer in the middle school band in Plano. The passion for music continued while down in Austin as he studied guitar with Sean Mencher of the rockabilly trio, High Noon. Later Michael would develop an ear and passion for Texas blues. He founded the internet discussion group on Yahoo called North Texas Blues. And he currently runs a website called The Texas Blues Roadhouse dedicated to promoting local Texas Blues artists. Michael was lead vocalist and a guitar player in two local Dallas bands. The first was a blues-rock band known as Texas Mojo. And the second is his most recent project called Mike and the Majestics where he worked with noted bluesman Dempsey Crenshaw. Michael is currently studying jazz guitar at Collin College. And he is currently co-director of the Frisco School of Music Jazz Band. For those of us in the Dallas Blues scene, Hash Brown is another of those guys that everyone looks up to. He's an ambassador for authentic Texas Blues. His brain has stored more blues riffs and knowledge about the blues than almost anyone. Hash Brown has been playing the Blues since 1973. He plays guitar, harmonica, and sings. He moved to Dallas, TX in 1983, and cut his eye teeth playing with an assortment of Dallas Blues royalty including ZuZu Bollin, Henry Qualls, Sam Myers, Big Al Dupree, Robert Ealey, Willie Willis, Ray Sharpe,U.P. Wilson, Little Joe Blue, Ernie Johnson, and many, many more. short tour every now and then. After getting his Bachelor of Music Education at the University of North Texas, Ron went on to get his Masters in Music at NYU. He's studied with the likes of Chris Potter, George Garzone, Lenny Pickett, Jim Riggs, Jim McNeely, Kenny Werner. Ron recorded on Al Green's "Love Is Reality" (Sony 1990) and he's recently recorded on CD's for Anson Funderburgh, Wanda King, Christian Dozzler and Rhett Butler. Liebman/Brecker/Lovano, Temptations, Earl Klugh. And he's jammed onstage with Smokey Robinson, Mick Fleetwood, Gregg Allman, Kirk Whalum, Delbert McClinton, George Thorogood and Buddy Miles. Ron has also taught Jazz at Richland College, Brookhaven College and was the Jazz Band Director at Northlake College. You can get a healthy dose of Ron's tasty sax work on this CD. and played on "This Is The Place" The song is about the Don Cates Annual Fish Fry and Blues Bash. His contributions on this CD are greatly appreciated.